Thanks cards! 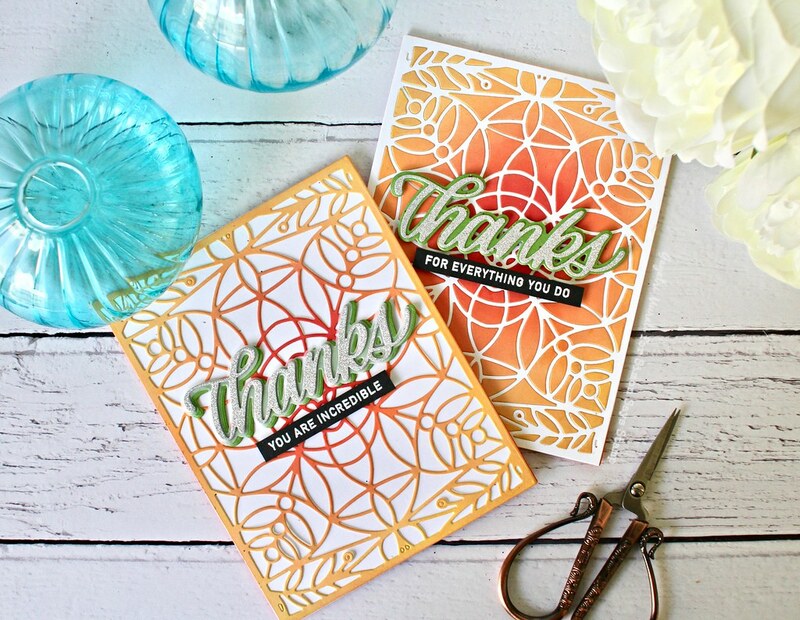 Stretching your dies! This is so easy to do. I just sponged a white panel with distress oxide inks in Candied Apple, Carved Pumpkin, Squeezed Lemonade and Wild Honey. Then I die cut the panel using the Marilyn die. I kept all the pieces together in its places. I also die cut another using scrap piece of paper. 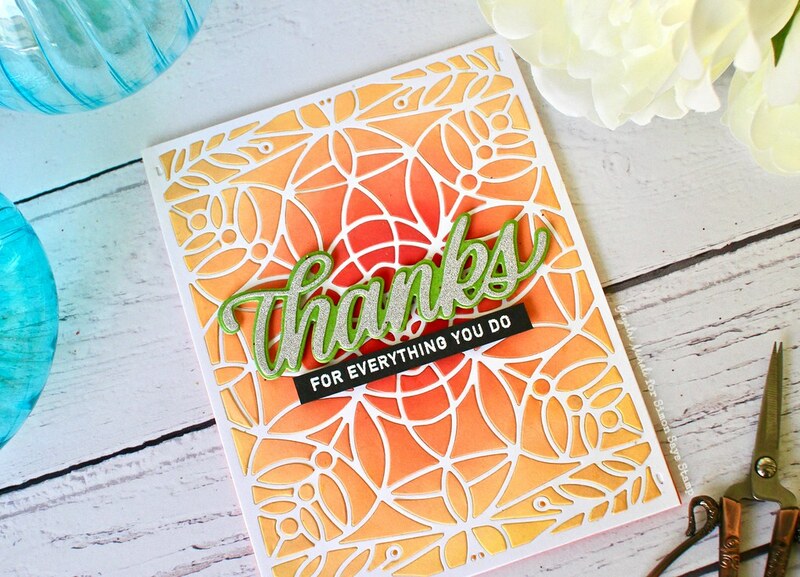 Using this as guide on a white card front, I adhered and inlaid all the bits and pieces from the sponged die cut on the card front. This takes a while but well worth the time. On another card front, I adhered the positive die cut. Now I have two beautiful card fronts. 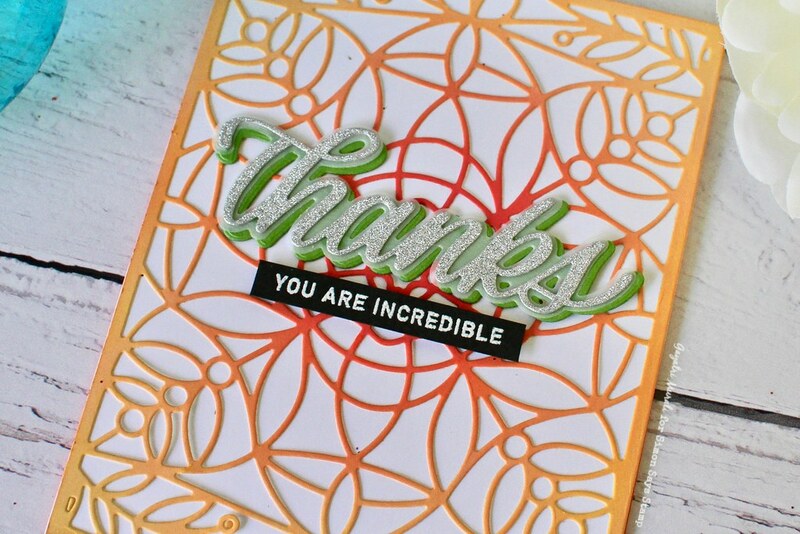 To finish off the cards, I used the Big Thanks die also from Simon along with secondary sentiment from You+Me stamp set. 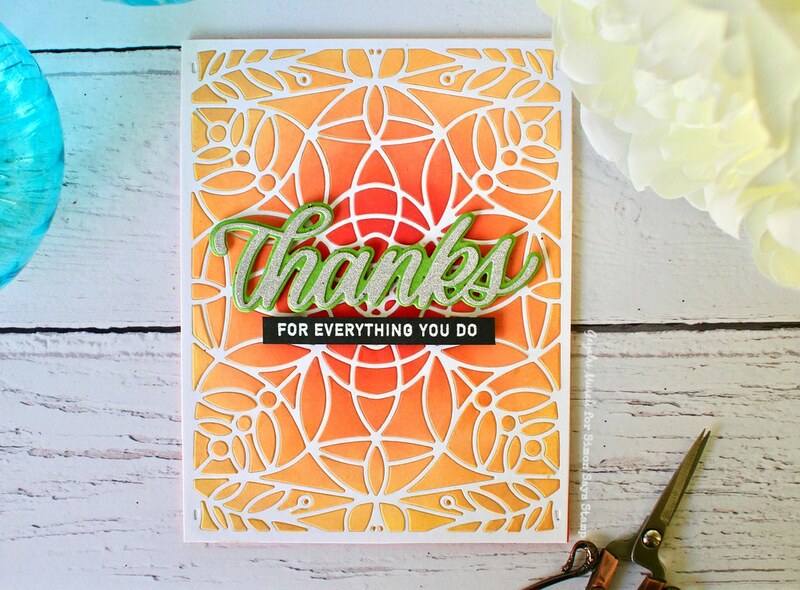 To add a bit o colour contrast, I die cut the shadow thanks die using green cardstock and the thanks die using silver glitter cardstock. 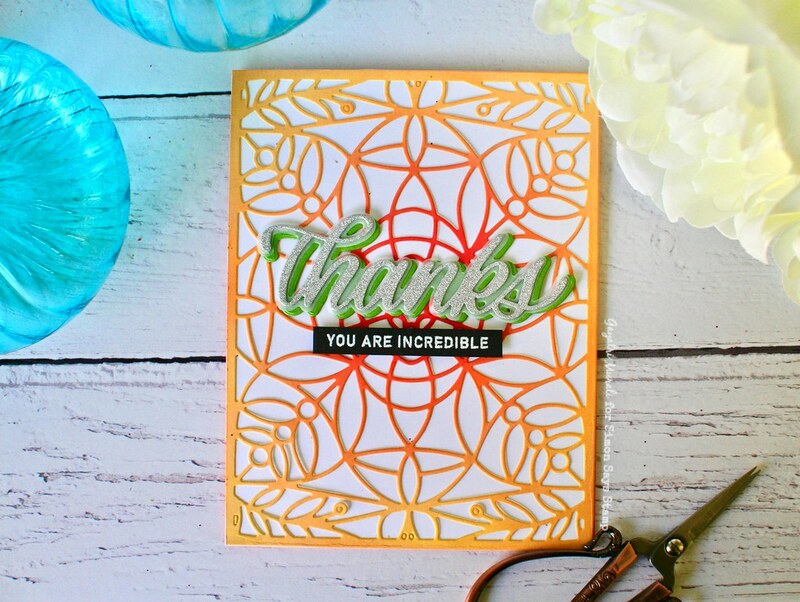 The secondary sentiment is white heat embossed on a strip of black card stock. Here are photos of the cards individually as well as some closeups. You can change the colours to your preference and get more variation. Hope you give this a try. All supplies used to make this card are listed below.